If Salads refer to dishes that are: cold or warm; raw or cooked; vegetables, fruits or both combined; usually dressed and seasoned; can be served as an appetiser, side dish, or main course… then, I don’t know about you but I am buying!! Can you imagine the endless possibilities? The options? The flavour combinations?… This definitely is a place to experiment, create and enjoy with the perk of being absolutely Guilt-free! Salads can be the combination of anything really. You can use fruits and nuts in savoury salads, which help you add to the varieties of the salads, as well as depth to the flavour and crunch for texture. You can use herbs even in sweet salads like mint in a fruit salad. You can play around with textures (crunchy fresh vegetables, or the smoother roasted vegetables) and you can experiment with a variety of dressings, try different vinegars, oils, or go for the less common creamy dressings, pureed vegetable dressings… and why not even use edible flowers… yes, just like any food, it must appeal to the eye that eats first! Green Salads: Usually consist of raw green-leaved vegetables like Lettuce, Endives frisée, rocca- arugula, spinach, mesclun, dandelion leaves, watercress, …etc usually dressed with a vinaigrette (flavoured according to the used vegetables). These Salads are usually served as an appetiser or a side dish to meats or eggs. Common Additions to green salads are croutons, cheese, shallots, bacon…etc. Caesar Salad is a very good example of salads from this category, although it can be considered a mixed salad as well. Garden Salad: usually Refers to salads that include vegetables alongside the leaves. The name comes from the use of vegetables that can be grown in gardens. Like tomatoes, cucumbers, lettuce, capsicums, onions…etc. These salads do not include meats. This category is often served with an acidic dressing such as lemon and oil, or a vinaigrette. Garden Salads are usually served as an accompaniment to meat and carb dishes alike. One very good example for salads from this category is the Beetroot and Carrot Salad. Plain Salads: Consist of a basic raw or cooked ingredient. The basic ingredient can be a vegetable, meat, chicken or shellfish. 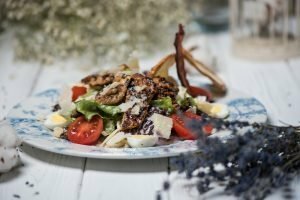 However way the ingredient is cooked, the plain salad is normally served with a cold dressing, such as a vinaigrette, mayonnaise, mustard, rémoulade, or a cheese dressing. Like a plain Tuna Salad for instance. Mixed Salads: These salads are more elaborate and are served as a main course or to accompany hot or cold roast meat dishes. They combine different ingredients of contrasting yet complementary flavours, textures, and colours. These salads can include exotic ingredients as truffles in the Salade Gourmande or simple ingredients as in the Salade Niçoise. These salads are dressed with a dressing that blends with, rather than mask the flavours of the ingredients used. Fruit Salads: usually refer to sweet Salads, the ingredients of which are a combination of 2 or more of fruits, nuts, herbs, fruit juices, honeys, syrups, at times spices and other flavours. Dressings are the liquids that go on a salad to give it its final flavour. The dressing can be hot or cold. Dressings can be tossed with the salad ingredients in a bowl to coat, or can be drizzled on top of a salad after plating. Dressings should compliment and bring out the flavours of salads, but never overwhelm those flavours. Basic Vinaigrette or flavoured Vinaigrette. Mustard Dressing or Honey Mustard Dressing. Oil Dressing like truffle oil, or nut oil. There is a wide variety of oils and vinegar to use. You can also make your own flavoured oils and vinegars such as basil oil, rosemary oil, black pepper oil, chilli oil…etc. or fruit vinegar, herb vinegar…etc. You can always use nut oils such as almond, hazelnut, walnut or even peanut oils… You can use olive oil, Sesame oil and even coconut oil. these will lend a variety of flavours to your salad creations and can help you intensify a specific flavour. Just note that chilled olive oil becomes thick and cloudy, therefore if you have pre-prepared your dressing and chilled it, let it stand at room temperature for 30 mins before using. 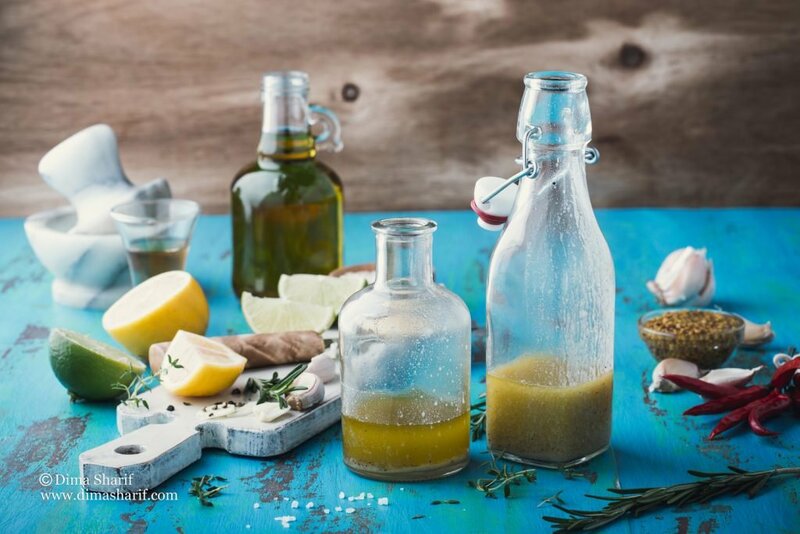 Dressings that include olive oil are best made right before serving and not chilled. 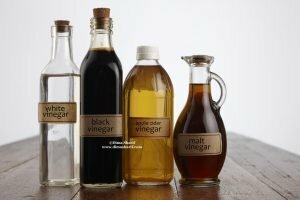 The use of different vinegar will help you get a variety of vary flavours from the same vinaigrette recipe. Choose from a the many vinegar out there and open up the door to a variety of flavours. Vinegars are available in supermarkets and speciality gourmet stores and delis. Experiment with aged vinegars too, they are Divine! Try Balsamic vinegar which gets its sweetness and dark colour from ageing in barrels. Aged balsamic vinegar is the best, especially the ones from Modena in Italy. They are truly amazing; a delicacy! Also try cider vinegar, it is golden brown with a hint of apple flavour as it is made from fermented apples. Fruit vinegar is made by steeping berries in cider or white wine vinegar. Herb Vinegar is made by infusing tarragon, basil, dill or other herbs in white wine or cider vinegar. Rice Vinegar is made from rice wine or Sake. It is mildly sweet with a subtle tang to it and is available plain or flavoured. White vinegar is colourless and made from grain alcohol. Its flavour is the strongest and sharpest of all vinegars. Not my favourite, but many people like its sharpness. Wine vinegars reflect the colour and flavour of the wine used in its making. 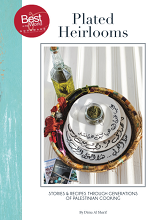 this category also includes champagne vinegar and sherry vinegar. Fresh (unwilted) ingredients are the best to use, when washed they need to be dried out thoroughly or the water will dilute the flavours of the dressing and will make your leaves wilted and soggy, the enemy of salad! To avoid bruising your greens tear rather than cut. Dress the salad Just before serving or the acid will wilt the greens and cause them to become soggy. With this post, I am hoping to get you to explore and experiment with flavours, vinegars, dressings, combinations other than the ones you usually go for. I hope I have managed to open the door of curiosity, and that you will try out some new salads from here on… Not only when eating out, but also when making them at home! When I first came to Dubai, I never even thought that a proper local farmers’ market could be an option! Until I met The Farmers’ Market On The Terrace, which in its first days started by the Baker & Spice shop in Souk Al Bahar. I was at Souk Al Bahar to have lunch and there they were a few tables of fresh produce, that I learnt that day was grown locally in the UAE during “the season” (December – April). I was stunned! In my mind Dubai is a desert! As such even if some vegetables grew the varieties or quantities could not be substantial I always thought. I was so wrong!! Actually, there is an amazing array of vegetables, leaves, herbs and fruits including lemon, dates, papayas, mangos…. that are being grown locally and which the farmers sell at the market during the season. The market had moved to the Emirates Towers garden, and more farms and farmers have joined the group, and each brings with them new varieties and options. The best thing is buying these fruits and vegetables you are sourcing locally. The supply chain is as short as it gets, because you are buying directly from the farmer without an agent or a middleman! This means you actually know who is growing your food and their views on farming, therefore their approach and philosophies. As such you can support the ones whose ideas and thoughts resonate with you. Also, the majority of the farms are certified organic, which is really the only way to eat fruits and vegetables. Whether it is the health reasons or the environmental reasons, I truly think we should only eat organic foods. (will dedicate some posts to this point). I buy at the Farmers’ market for all the above reasons, but most importantly because when a group of farmers are determined enough to grow in a desert and produce such good produce, they really deserve all the support they can get and so I support them. With that said, I also happen to love bringing the real flavour back to my kitchen as nothing beats the smell nor taste of a vegetable freshly picked! I learned that a long time ago as a child, and I really cannot savour food any other way. This farmers market brought back that fresh aroma, and the fresh crunch, the absolutely delicious taste back to my kitchen! I hope this inspires you to go shop for your fresh organic produce, organic eggs and chicken and other organic food stuff from the farmers’ market from every Friday during the season (December-April every year). I would love to hear your thoughts on this, so do tell me if you like shopping at farmers markets and outdoor food markets? Do you consider organic eating or does it not make sense to you? Do you prefer sourcing locally or what difference does it make to you? I am always curious to know what you think about these trends and concepts.